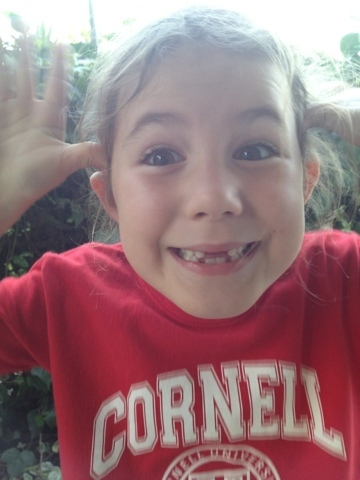 Matilda lost her 6th tooth last night after days of it being ridiculously loose. Now she has a ton of cute gaps in her smile. That was the last real wiggler so maybe we will get a stretch of several months of good eating with less chewing problems before the next round of teeth need to come out!